Monroe's door hinges enhance the design of any home, with finishes that range from stainless steel and polished brass to yellow zinc and polished bright chrome. Characterized by a wide selection of finishes, styles and sizes our door hinges are perfect for most around the house applications. 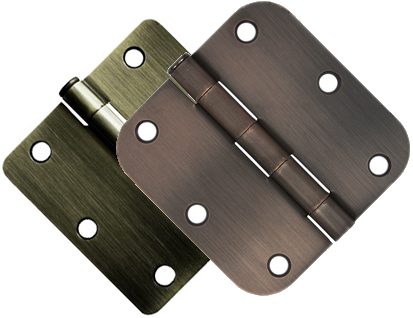 Monroe Hinge & Stamping Company has the capabilities to manufacture door hinges in a wide variety of lengths, metals, finishes and perform secondary operations. 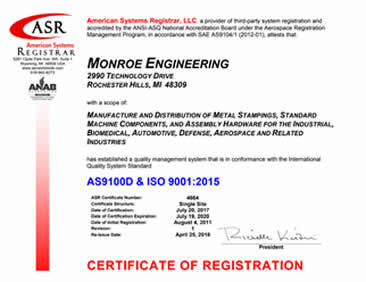 Monroe Hinge & Stamping Company is ready to work with you on developing the right door hinge. All of our projects start with a question, a print or a sketch. Are you looking for Door Hinges?